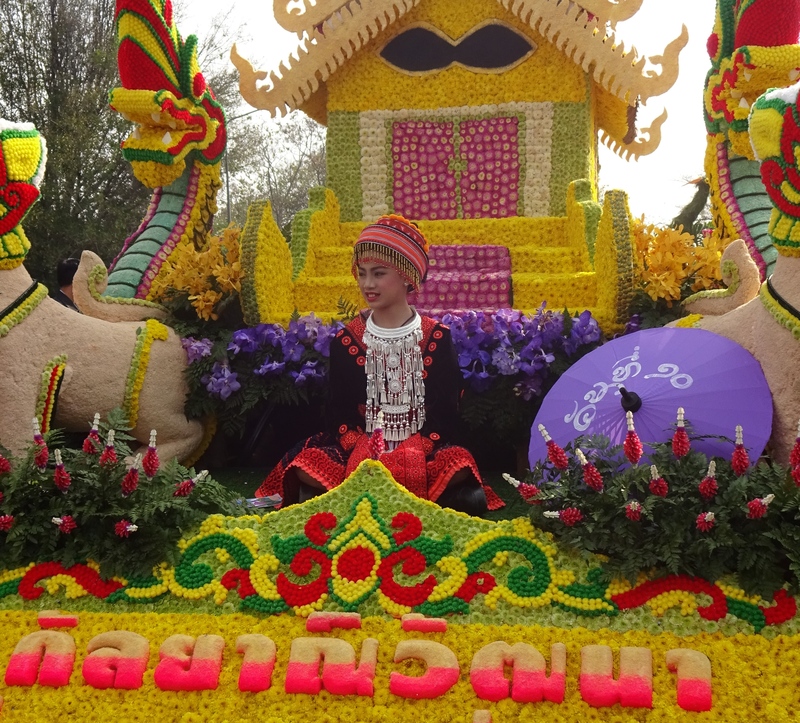 The Thai calendar is full of magnificent events and observances. My trip here falls in-between time for almost all of them. 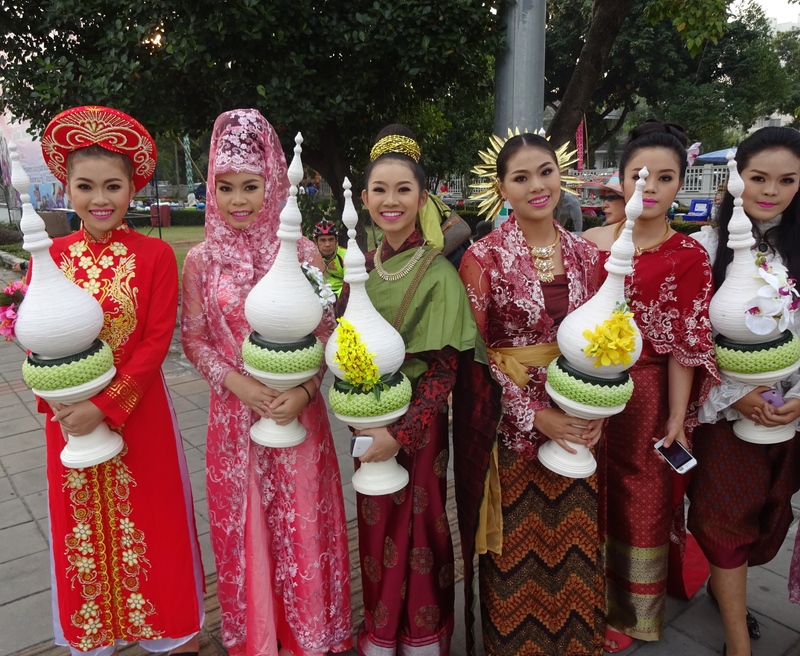 But there is one event unique to Chiang Mai that I have been fortunate to enjoy. 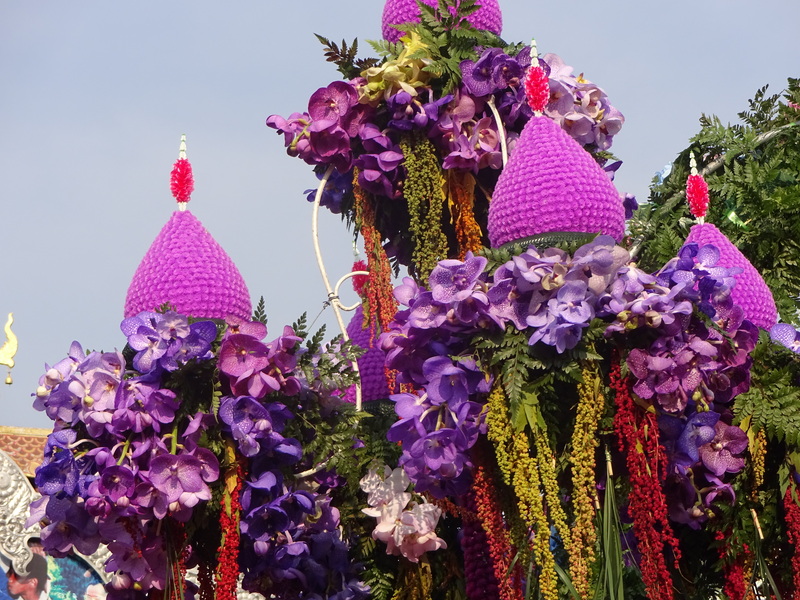 On Saturday morning I rose early (6am) and headed out to view the annual Flower Festival Parade. 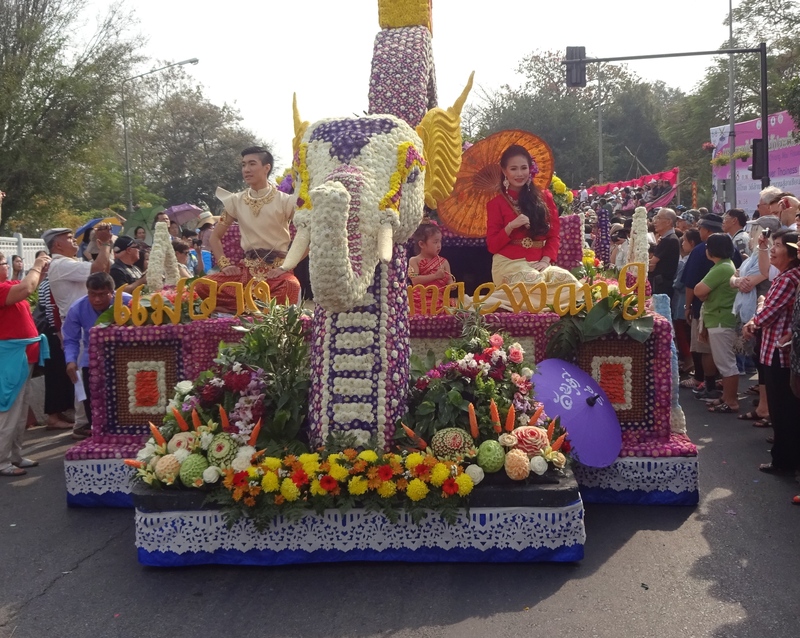 It’s part of a 3-day multi-event display of civic pride and eye-popping pageantry and color, celebrating the abundance and diversity of the local flower industry. 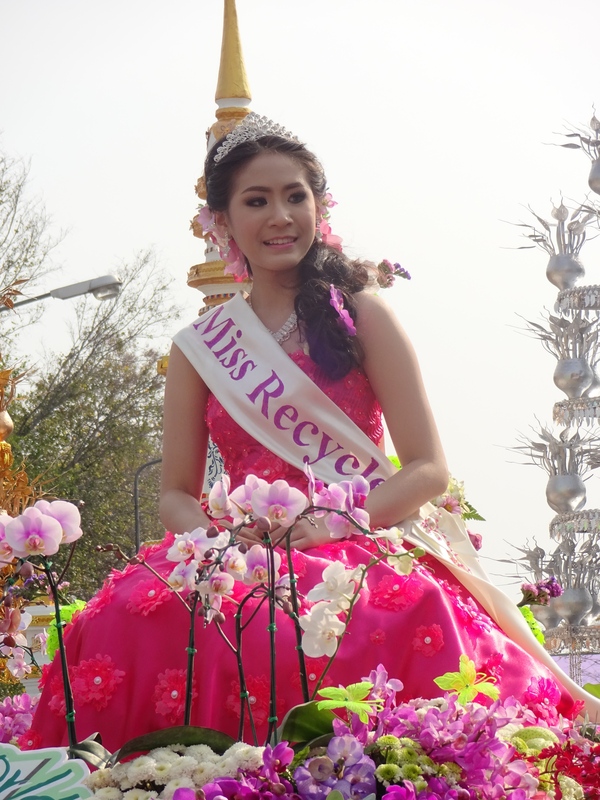 There may be some debate about the best parts, but there is a parade, a street fair, live music and a beauty pageant. 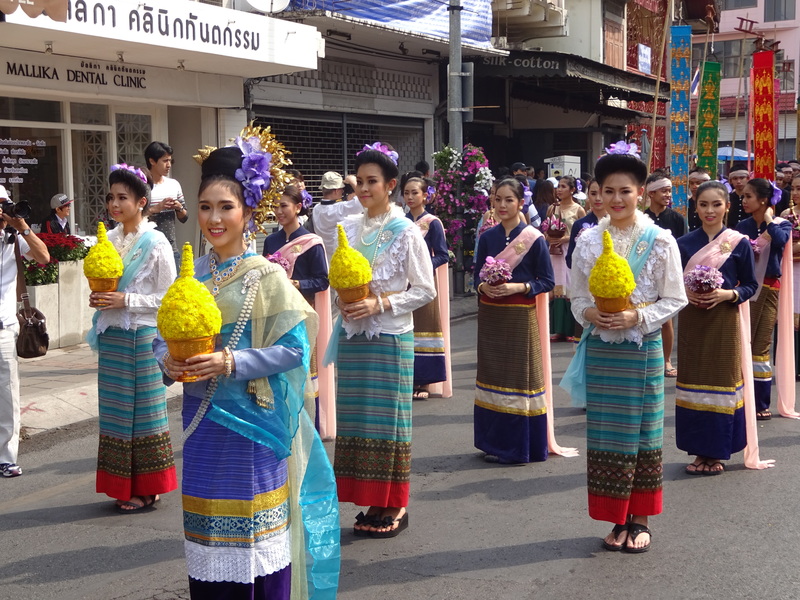 The parade progresses through the heart of the tourist zone and skirts 2 sides of the Old Town before spilling into a public park. I scouted various possible viewing points, but since there wasn’t much traffic yet, I went closer to the site of origin, the Nawararot Bridge. As I waited, parade participants filtered through the crowd toward their appointed positions. People started gathering near the viewing stands about an hour before the scheduled start. As the start approached, crowd control became increasingly assertive, moving people behind designated lines. Following about 30 minutes of dance performances and speeches that could be viewed on giant screens at the major intersection where I was standing, the procession finally began. High school marching bands (playing American standards? 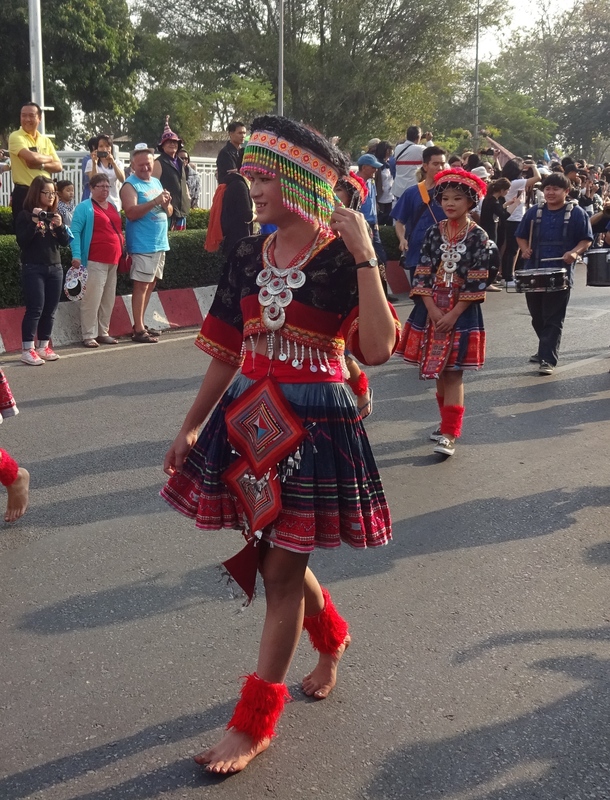 ), boys dance/cymbal drum corps, girls in traditional dance groups, and amazing eye-popping color of flowered floats inched by, most carrying the obligatory local waving beauties. The costumes, the makeup, the decorative gold accessories were stunning enough. 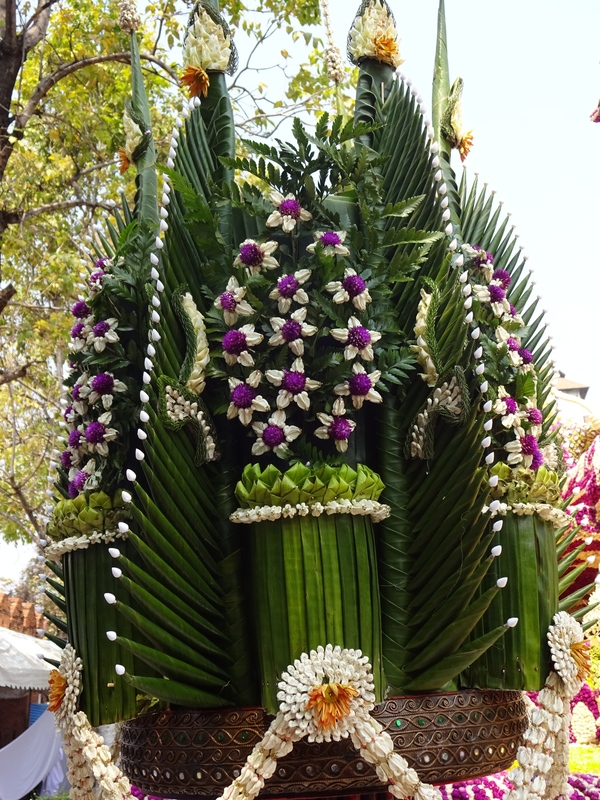 But the floats, about 20 in all, were dressed in fresh flowers and greenery in amazing and lush detail. 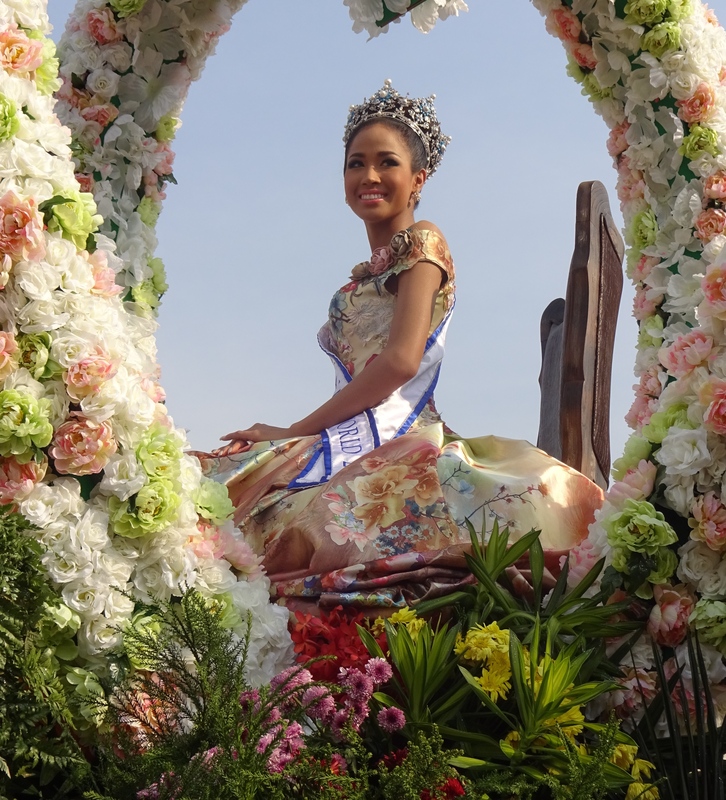 As soon as the procession got going, all crowd control rules were abandoned and there were no longer any parade marshals, military or police to be seen. 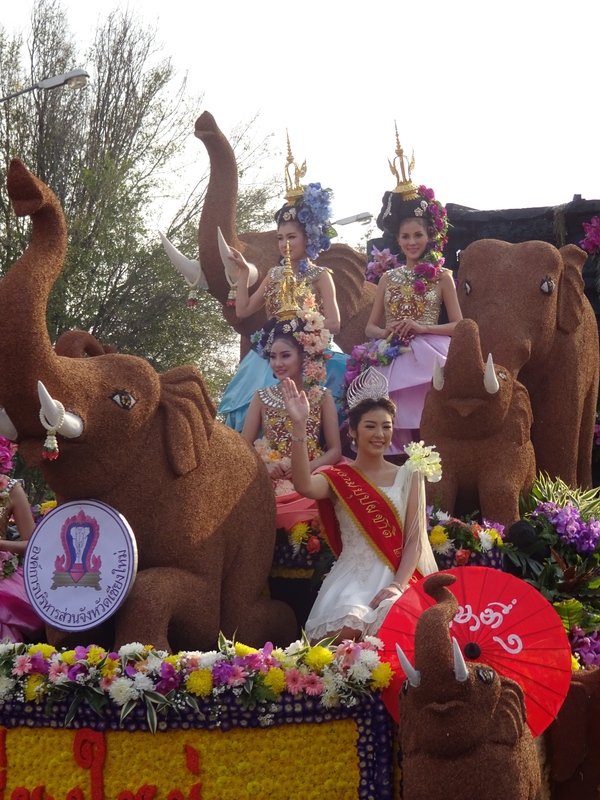 Everyone wants their picture taken in front of an advancing float. Everyone wants the direct unobstructed frontal shot. Everyone wants a selfie with one of the costumed dancers or other young ladies in the parade. 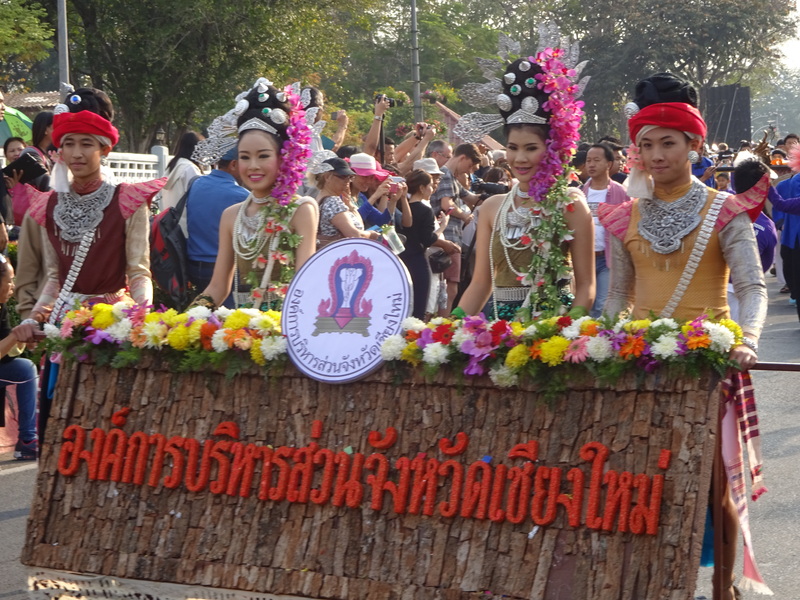 The crowd presses forward until there is barely enough space for the floats to advance. Sections of the parade are halted due to popular interference, creeping forward for a few moments at a time, lagging behind the groups ahead and arresting everything behind them. Exuberance is everywhere and delightful chaos reigns. And these are some tired girls after their 4K walk. After standing mostly in one place for 3 hours, I was beat. I walked through the crowd back to my scooter. But I had parked on the south side of the street, with no possible way to go north of the parade route without taking a significant detour through the south side of town. 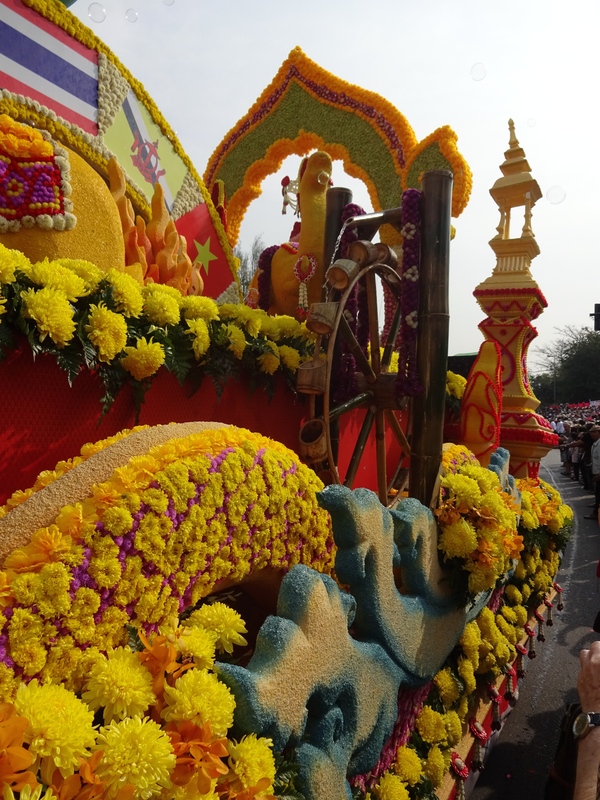 I meandered blindly through completely unfamiliar neighborhoods, following other motorists who looked like they knew where they were going, only to find myself more than once heading directly back into the blocked streets of the parade route. After several tries, I followed other scooters weaving through crowds, now finding myself part of the parade as it neared its terminus, the southwestern corner of Old Town. I was also watching my fuel gauge sink into the red. Being diverted south again toward the airport, I finally found a gas station ( this is sort of like desperately needing to find a bathroom, right? Only, you know, the opposite.) and headed back north. 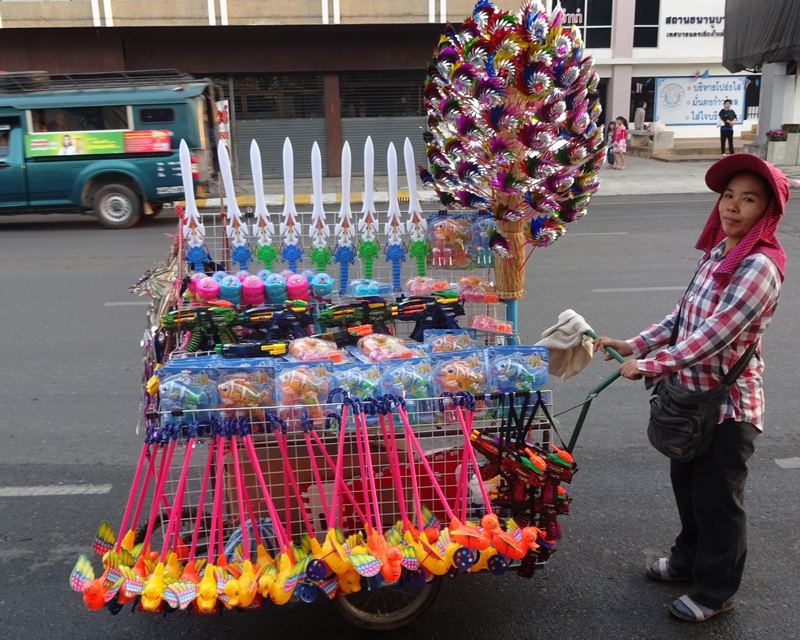 The entire southwestern side of the old city had become a glorious street fair. I saw the parade from its beginning. 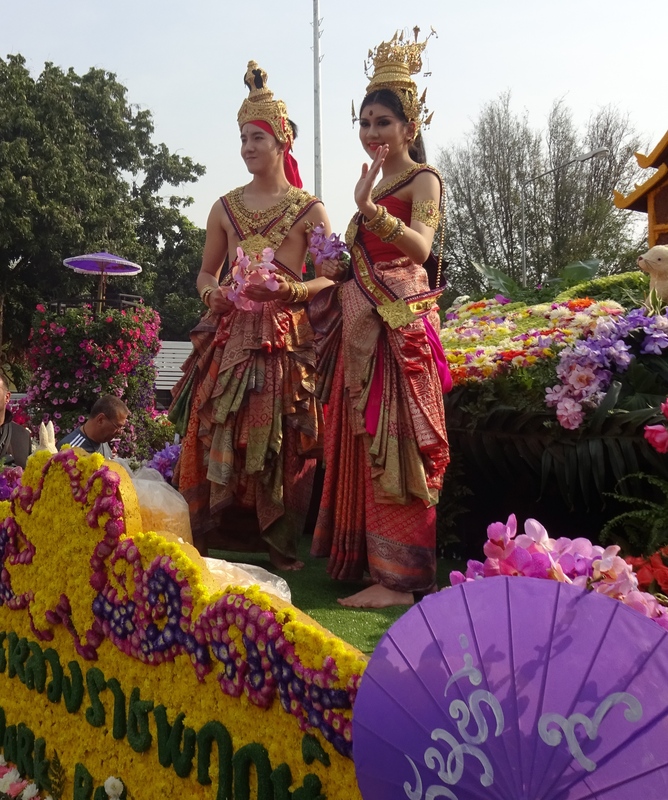 I became part of its conclusion and found what is now becoming a characteristically colorful, diverse and thoroughly entertaining Chiang Mai event at its end. 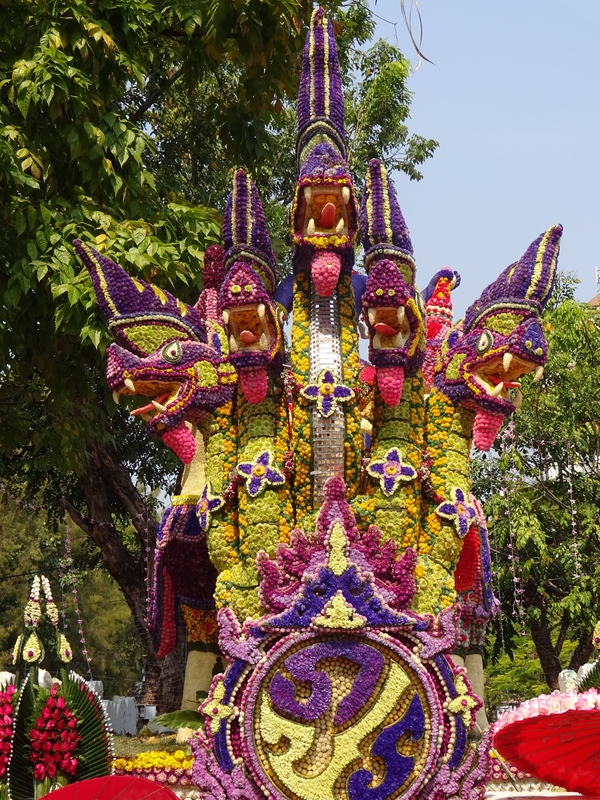 This entry was posted in Personal, Thailand, Travel and tagged chiang mai, Chiang Mai Flower Festival, Chiang Mai Old Town, chiang mai street fair, festivals, parade, Tha Pae Gate, Thai civic events, Thai traditional costume, thailand by garyhorvitz. Bookmark the permalink. 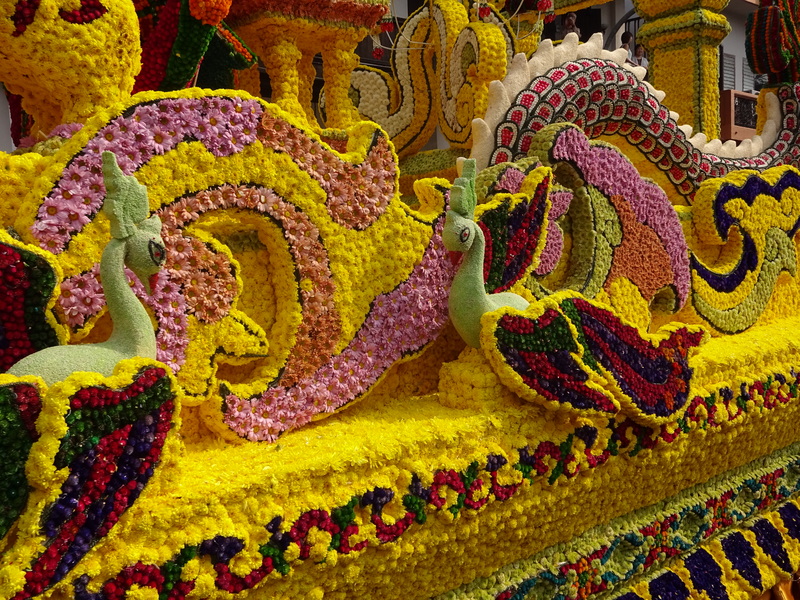 Astonishing, ravishing, eye-popping gorgeous creations w flowers. Why don’t we have something truly beautiful like this instead of “Rose Bowl” parades and the like? Great pix Gary. Thanks SO much. Why is the Rose Parade all we get? Well, the Rose parade is more commercial than cultural. And because football. 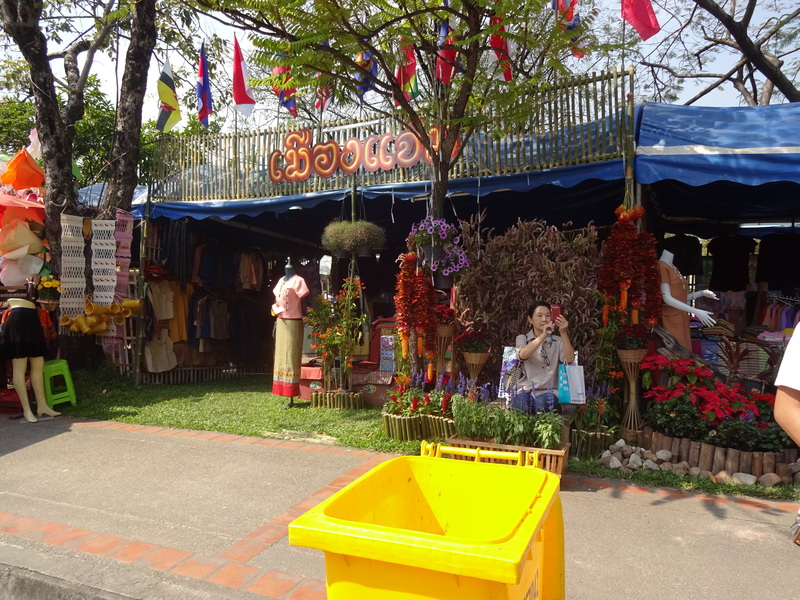 Umm, Chiang Mai is 719 years old. Maybe we’ll grow up sometime. This is a european christian nation. No animist roots. Howzat for a few good reasons? Looks like you are also finding all the pretty women!! Well yes, there are certainly many here. 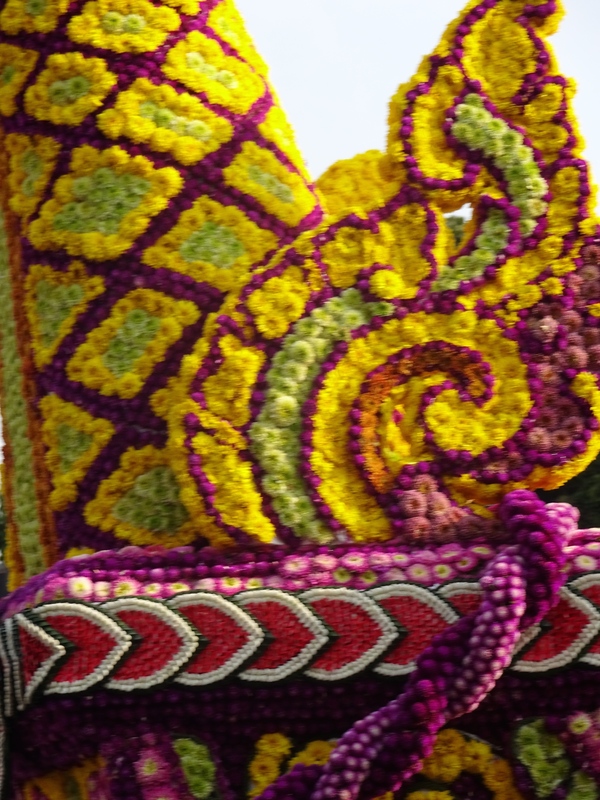 And they are a main feature of the parade as well. There are also some men in the photos. That group in the third photo, making their way to their place in the parade, all got close to the reviewing stand and were descended upon by so many photographers, many of them tourists. They showed unfailing patience, posing with presence and compliance with the intense interest they generated. I was one of the last ones to get a shot. And it is a beauty, isn’t it? But that seems to be how it is here. Beauty is so pervasive it’s almost routine. Great tip! I’m not a big bar hound, but I am familiar with these neighborhoods and will definitely check these out. Overlooking the Ping sounds like a priority and Sudnasan sounds good as well. And thanks for the plug! Your posts are such a treat! It’s fun to look in the mailbox and see one waiting. I’m grateful to you for taking this trip! and for letting us look over your shoulder and into your thoughts. Initially it took some doing to remember to have my camera with me at all times and to notice what is worth preserving. 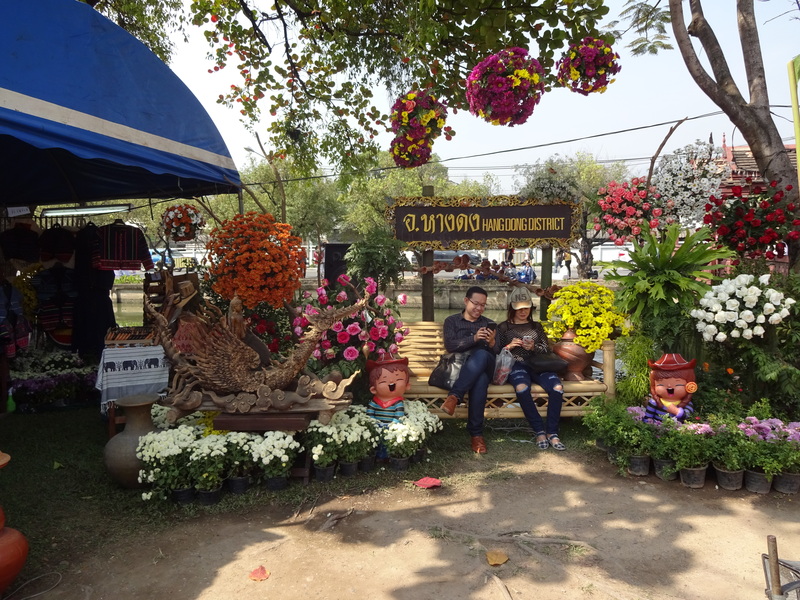 But some things, like the flower festival, demand it. There’s a lot I don’t know, of course, but I am very comfortable here. There’s so much to appreciate and to share easily. Thanks for the props! 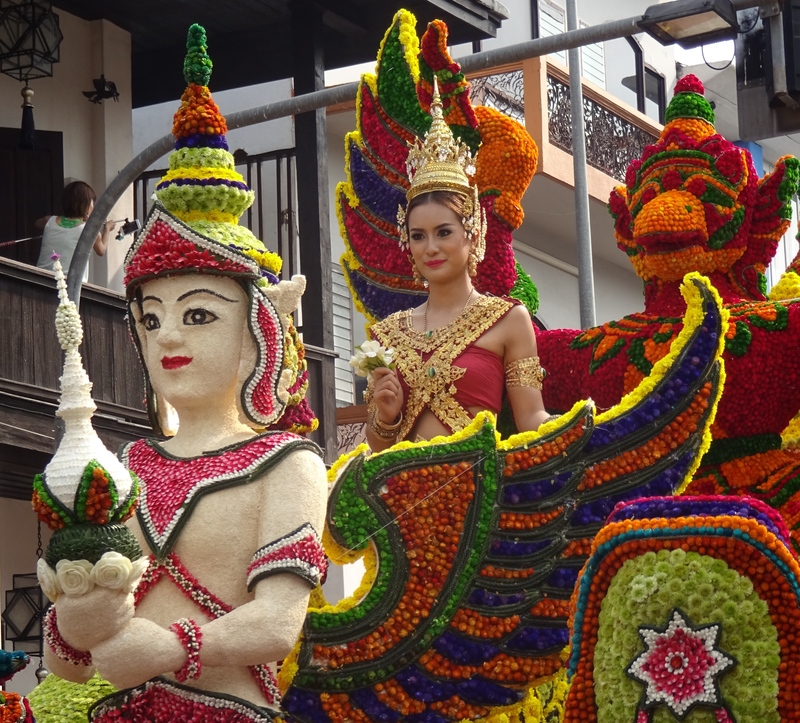 I have finally gotten to see all these glorious colors, floral creations, those beautiful women and men. What a treat to be there and to happen upon all the best parts, regardless of your gas levels.This was a real treat!!! 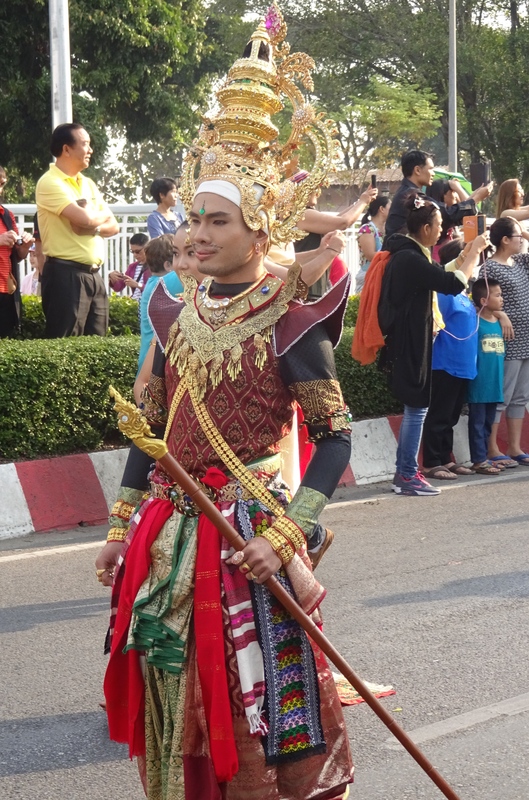 WONDERFUL .. my husband and i are going to thailand next year and plan on going to this festival.. Any suggestions on accomadation? Depends on your taste and budget of course, and depends on how you intend to get around, but for a short stay, 2 weeks or less, staying in or near the old city might be best for easy transport and proximity to tourist sites and entertainment. Plenty to see outside the walled city, though. I use agoda.com.